He was of course discussing the comments made by the Lord Chief Justice, Lord Judge, in evidence to the Lords Constitution Select Committee on the controversial Public Bodies Bill. Lord Judge is also in the news this week for allowing twitter in court – following the issue of interim guidance that live text-based communication is acceptable as long as the judge believes it would not interfere with the administration of justice. 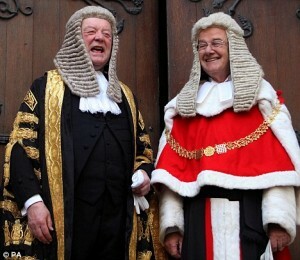 Leave a reply on "Lord Judge and the Public Bodies Bill"